It has been a little while since I have done anything beauty related so I thought this would be a good point to create this post. 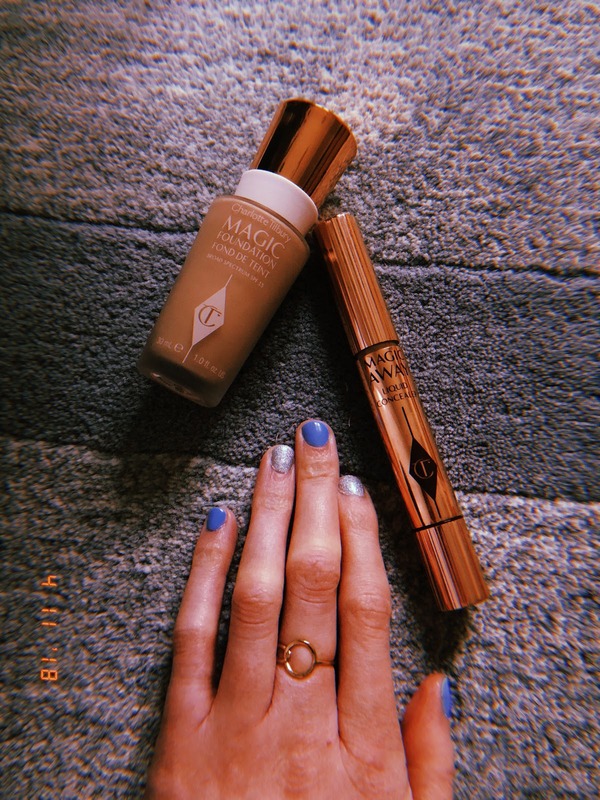 I have been wanting to get some new foundation for a while and I was looking at Charlotte Tilbury's website the other week when I was off and was thinking 'I really fancy some of her foundation. I have heard good things about so why not and if I don't like it I can always keep wearing my lightweight Mac Cosemetics foundation. So I ordered Charlotte Tilbury's Magic Foundation along with her concealer and a few days later they arrived at my house. The foundation is collagen-boosting, reducing the appearance of age spots by 75% in just 4 months and the appearance of acne just after 9 weeks! 77% of women agree it gives them perfect-looking skin and 83% would reccommend to a friend! The foundation is ideal for flawless, poreless coverage, especially if you struggle with melasma, achne or rosacea. 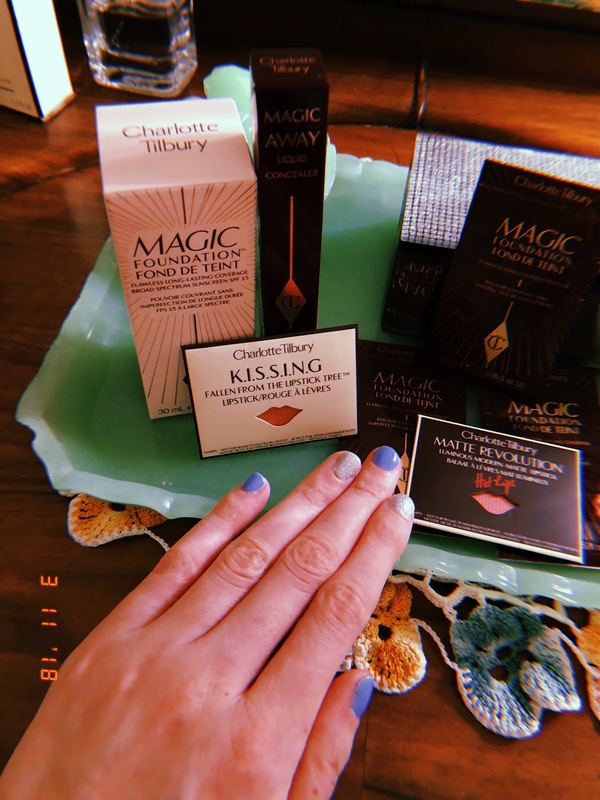 I was very excited with the foundation and concealer arrived, when you opened the box the products were all wrapped up in purple tissue paper with a little Charlotte Tilbury sticker. I was very impressed by the packaging and the look of both products. Bascially this is why you pay so much for them as they are very good quality with great packaging so how can you go wrong! After trying the foundation I realised it was a lot darker than I expected which was very disapointing however I wore it a couple of times but it was not right. I got the shade 3 which is Fair/Pale and I thought this would be perfect for me but I realised because I am very fair I would have to get the lightest shade of them all which I will get eventually but I will wait a little bit before getting it. It is a real shame as the foundation is easy to apply, leaves your skin looking flawless, not cakey and makes your skin look great! The Magic Concealer I bought is also the shame shade as the founfation but that applies on great and really does cover up your pores but it still just looks too dark. Next time I will have to get the lightest shade that Charlotte Tilbury does for both the foundation and concealer. I was actually thinking about mixing the foundation in with my Mac foundation just to see if that works as I do not want to waste it but yes I will be repurchasing the lighter foundation very soon. If you are looking to buy the foundation I would either go into a store and have a look at the counter if you are unsure about your shade just to make sure especially if you are pale like me as it can be hard and what looks like pale on the website can be very different when you actually try the product yourself.